This property is zoned "Light Industrial" and is located behind Tractor Supply Co. in Mission. The 3 acres being leased are on the West side of M&T Self Storage and are all fenced in along with the storage business. 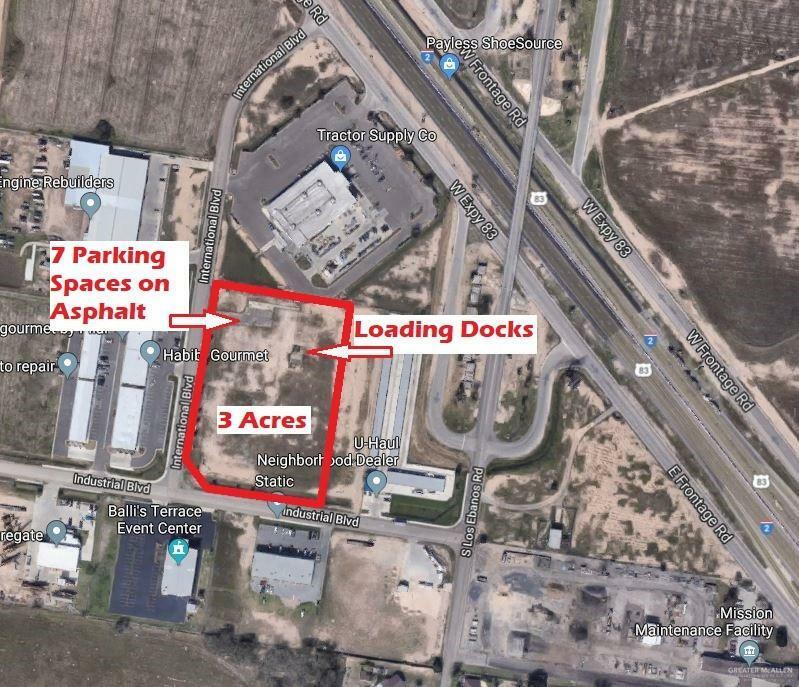 This property belongs to the same owner of M&T Self Storage in Mission, TX and he is willing to put up a fence between the storage units and the 3 acres of land being offered for lease. There is an area with 7 (seven) parking spaces on asphalt. There is also a two-level loading dock that may be used to load and unload trucks of different heights. There are two large roll-off gates on the West side of the property and another one on the South side. Please check with City of Mission if your intended use for this land being offered is permissible BEFORE signing lease agreement. Listing by Gabino Ortiz of Re/Max Elite.